Shannon demonstrates the features of JoomlaLMS. 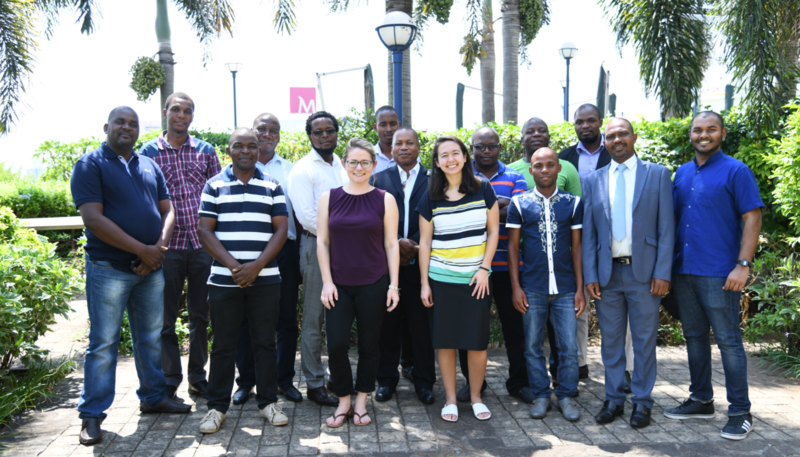 Our team first traveled to Maputo in January of 2017 to conduct a series of interviews with key stakeholders involved in climate change adaptation efforts around the country. After the trip, we worked closely with the CCAP staff to produce a comprehensive four-module, self-paced course that familiarized users to the science of climate change and its impacts; the fundamentals of adaptation, disaster risk reduction, and resilience. 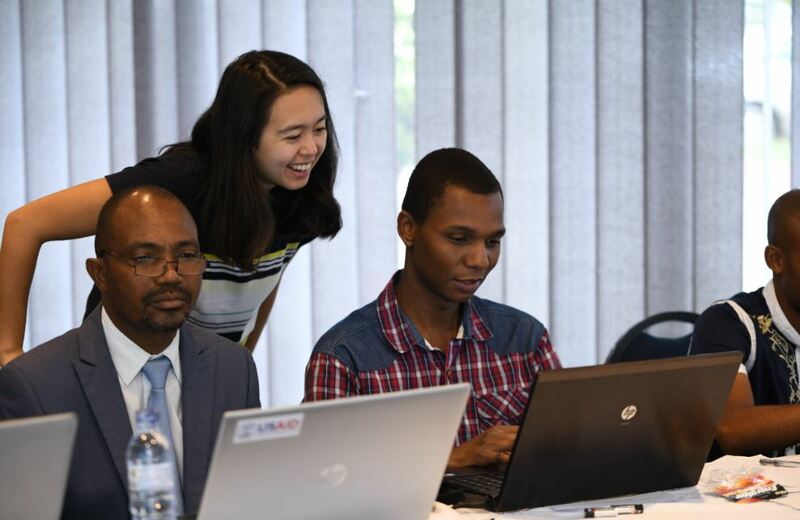 The course was developed with custom assets made by our Creative Team using Articulate Storyline 360 and localized into Mozambican Portuguese. Isabel assists a workshop participant with his demo course. 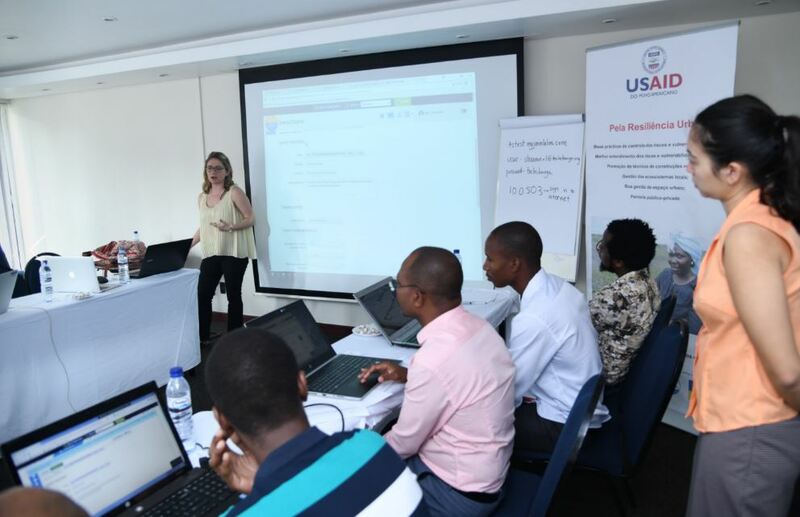 The objective of the workshop was to train the Knowledge Management Center, an organization sponsored by Eduardo Mondlane University, on how to edit and maintain an Articulate Storyline 360 project, and how to host the course online using JoomlaLMS. The team split the three days between teaching the basics of Storyline 360, walking through the best practices of managing an LMS, working through class activities and presentations, and troubleshooting any questions regarding Storyline 360 or JoomlaLMS. By the end of the third day, the majority of participants reported on our post-workshop assessments that they had a firmer grasp on how to manage and maintain an eLearning course. Throughout the workshop, we captured many images and videos that will be used to support CCAP in their course promotion efforts. CCAP plans to launch the course in early spring and we can’t wait for this unique Portuguese resource to come online! The TechChange team with the workshop participants.